i) What is Performance Testing? > Non Functional Testing: Checking Quality Attributes of a component or System with respect to Non-functional Requirements. in terms of responsiveness and stability under various workload. Performance Test Requirement: 5000 concurrent Users Login to xyz Application. > It’s a type of performance testing that simulates real-world load on software applications. Increasing number of concurrent users, transactions and check the behavior of application under test. It involves testing an application under extreme workloads to see how it handles high traffic or data processing. The objective is to identify breaking point of an application. Tests the software’s reaction to sudden large spikes in the load generated by users. Under Volume Testing large no. of. Data is populated in database and the overall software system’s behavior is monitored. iii) How to conduct Performance Testing? But Manual Testing is impractical for performance Testing, Automated Testing is only possible. LoadRunner is a commercial software test tool from Micro Focus. HP acquired LoadRunner as part of its acquisition of Mercury Interactive in November 2006, In Sept 2016, Hewlett Packard Enterprise announced it is selling its software business, including Mercury products, to Micro Focus. As of 01-Sept-2017, the acquisition was complete. LoadRunner supports Computer and Mobile Applications performance testing. The Apache JMeter application is open source software, a 100% pure Java application designed to load test functional behavior and measure performance. Rational Performance Tester is a tool for automated performance testing from the Rational Software division of IBM. Silk Performer is a software performance testing tool across web, mobile and enterprise applications. It was originally developed by Segue Software which was acquired by Borland in 2006. Borland was acquired by Micro Focus International in 2009. WebLOAD is load testing tool, performance testing, stress test web applications. This web and mobile load testing and analysis tool is from RadView Software. NeoLoad is a performance test tool of web and mobile applications. 1) Identify the Testing Environment. > Identify the hardware, software, network configurations and tools for conducting Performance testing. > Identify metrics such as response time, throughput and constraints and identify what is the success criteria for performance testing. 3) Plan and Design Performance Tests. > Identify performance test scenarios that take into account user variability, test data, and target metrics. 4) Configure the Test Environment. > Prepare the elements of the test environment and instruments needed to monitor resources. 5) Implement your test design. 7) Analyze, tune and retest. > Analyze Test Results, then fine tune and test again to see if there is an improvement or decrease in performance. Tags: Functional Testing vs. 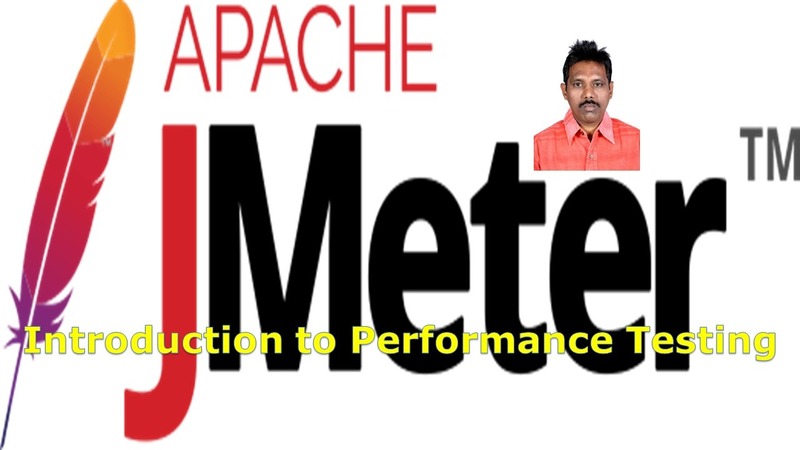 Performance TestingHow to conduct Performance TestingIntroduction to JMeterJMeter Tutorial for BeginnersJMeter vs. LoadRunnerPerformance Test Life Cycleperformance test toolsPerformance Testing ChecklistPerformance Testing vs. Load TestingTypes of Performance TestingWhat is Performance Testing?